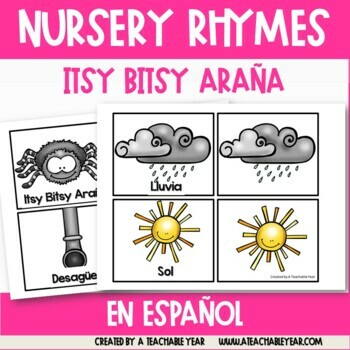 Itsy Bitsy Araña is a great print and go Spanish pack for school or home! With lot of activities, your life will be made easier by ju st printing off the worksheets you need to teach the lesson. retelling, graphic organizers, vocabulary, illustrations, details, KWL, plot, sequence, descriptions, characters, comprehension, major events, and more! 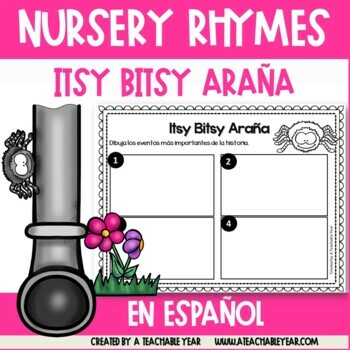 With your purchase you will get everything you need to teach the rhyme. Your children will be engaged and thinking critically. These printable worksheets can be used for the whole group, small group, guided reading, individualized instruction, differentiated instruction, assessment, and more! 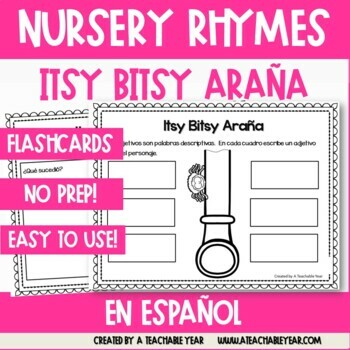 Vocabulary cards are also included! 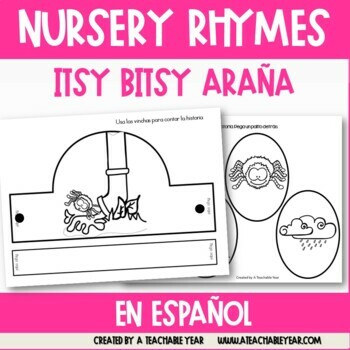 These would be great for labeling, drawing, a pocket chart, and more! ♥ Don't forget to follow me so you can be updated with newbies and freebies!